What other options might allow a more direct sampling of soil water content within the rooting zone of the plant? Soil water potential is a measure of the amount of energy required by the plant to absorb or extract water from the soil matrix. A soil water potential value of 0 (Zero) means that the soil is saturated, water moves freely, and the plant need not expend energy to absorb water at this potential. However as water is removed from the soil by the plant, more energy will be required by the plant to extract water overcoming the forces holding water molecules to soil particles. The soil water potential is measured in centibars and as the values become more negative the difficulty in obtaining water becomes greater. One tool to measure water potential is a tensiometer. A tensiometer is a hollow tube with a porous ceramic tip at one end (Figure 1). The tube is filled with water and sealed with a cap, and has an attached vacuum gauge. The porous tip allows the water in the tube to be connected to the soil water matrix. As plants use water and the soil dries out, water is also drawn out of the tensiometer. Because the tube is sealed, a vacuum is created and measured by the gauge. Plants can easily extract soil water when the soil water potential value is 10 centibars (CB). At higher values such as 35 CB it is more difficult for the plant to extract water. 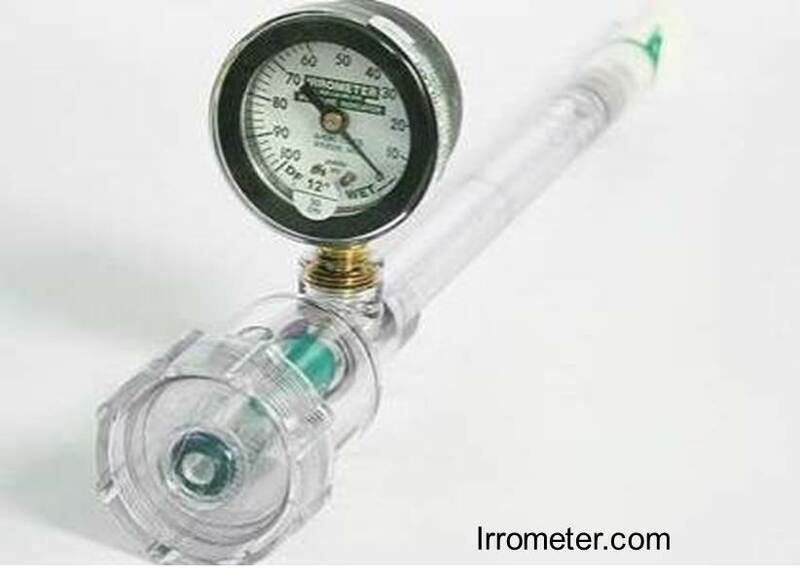 Figure 2 shows the face of the pressure gauge. 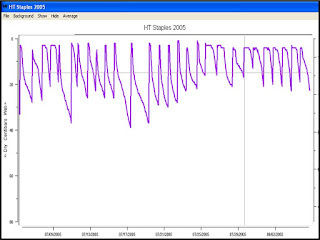 Figure 3 shows the cycling of tensiometer readings over a period of time. The plants use water and the pressure increases into a range between 20 and 38. The sloped lines indicate the water draw down and the straight lines indicate a watering event. The gauge reading returns to near zero following the watering event . 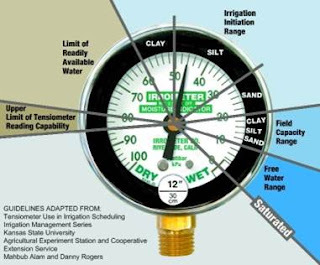 By placing tensiometers at two depths, we have a way of knowing when to turn the water on and when to turn it off. 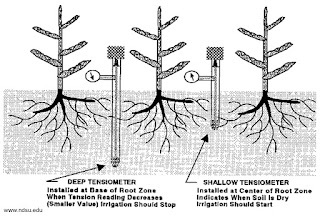 A short tensiometer (6") is place in the middle of the active root zone, and a longer tensiometer (12") is placed below the active root zone. When the short tensiometer reads between 30 and 35 CB begin irrigation. As irrigation begins the 6" gauge will begin to move to zero. 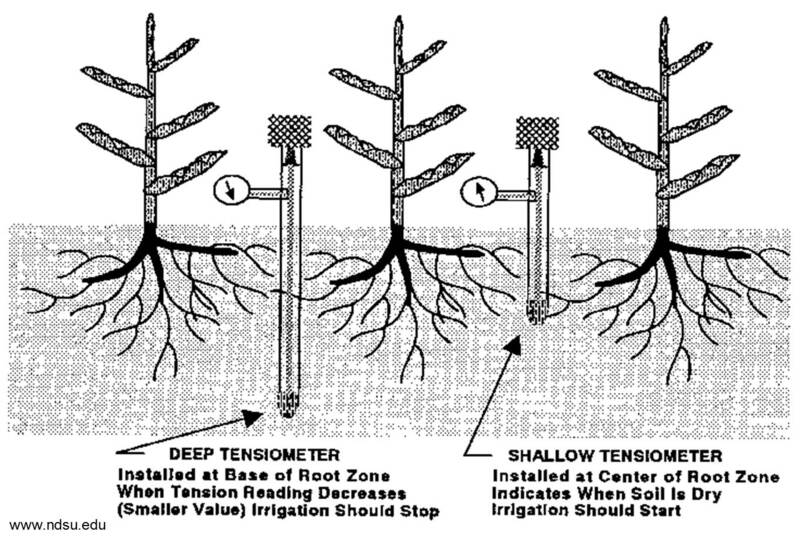 But when should you stop irrigating because the 6" gauge is in the middle of the root zone? When the 12" gauge begins to move to zero it means that the water is beginning to exit the active root zone. At this point the irrigation should be turned off (Figure 4). 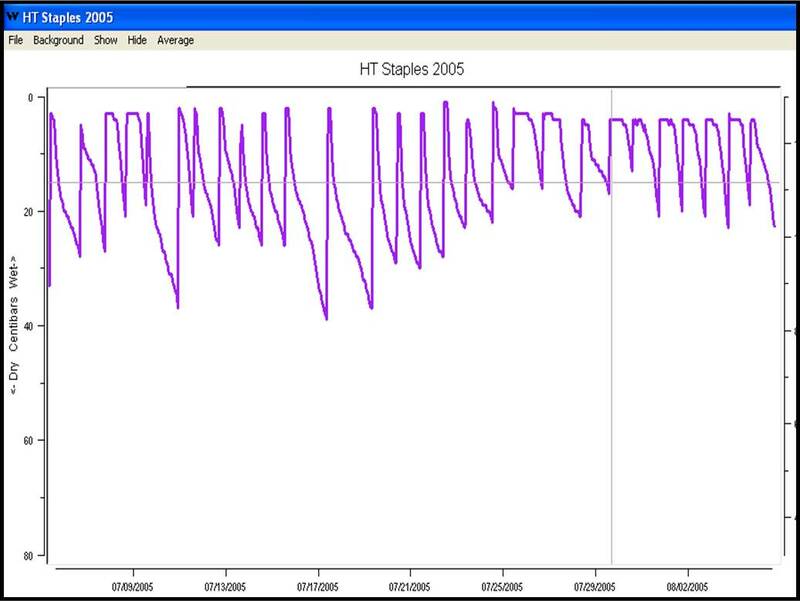 We will take a look at some other tools used to measure soil moisture in the second part of this blog. With branded instrument to measure wind speed you can measure humidity,wind speed, temperature and forecast weather information. But for all that quality weather measuring instruments are needed.